When a piece of timber is left exposed to the weather for several months, it gets that inimitable driftwood colour that is usually seen on well seasoned outdoor furniture. 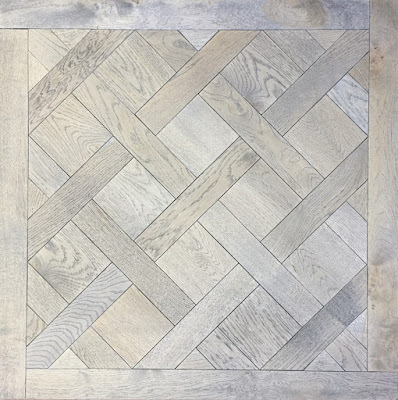 Unlike most similar finishes that are quite opaque, our leached grey finish is fully transparent and leaves the striking features and grain of French oak exposed and even enhanced. It is not a thin surface coating that will wear off quickly, but a deeply ingrained finish that can be re-done when required on a heavy traffic area. A light grey driftwood colour suits most types of design, from traditional country look (reminiscent of Provence benchmark lime wash) to contemporary Scandinavian or minimalist style. Talk to us in regards to installation and possible combinations.